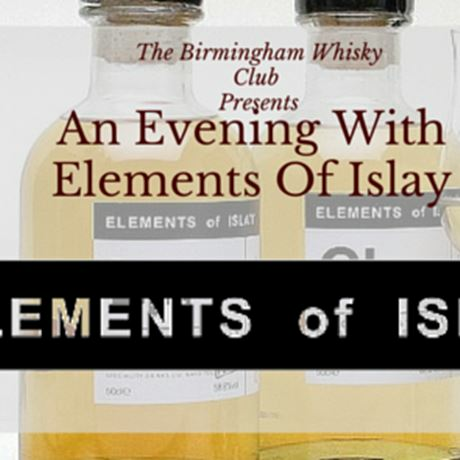 The Birmingham Whisky Club would like to invite you to The Wellington on Friday 21 October 2016 for ‘An Evening With Elements Of Islay'. Learn about the brand's delicious whiskies, the history of Islay and taste your way through a selection of delectable drams. 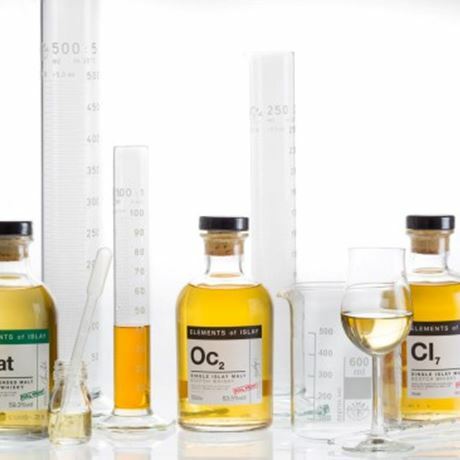 Elements of Islay is a range of single malt whiskies that draws inspiration from traditional medical laboratory labels and packaging. Indeed, even the bottle is called ‘pharmacy’. The Elements range is bottled in individual batches, typically blended from between five and 20 casks from a single distillery. Each bottle shows the distillery’s ‘element’ symbol alongside a batch number on the label (eg. Lp1). Learn more about these whisky icons and taste a selection of six drams with the fine folks from Speciality Brands. 6:30pm – Doors open. Guests are welcome to grab a drink in the bar and bring it to our private room. 7pm – Tasting begins. 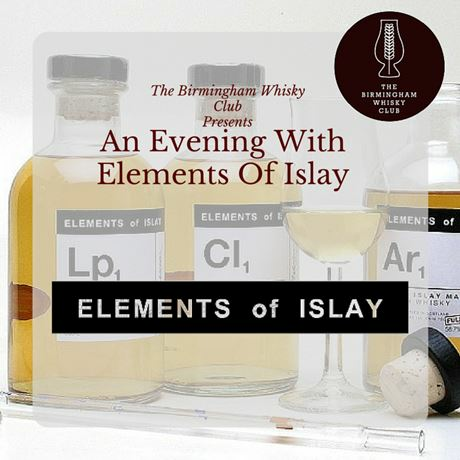 You will be led through a selection of different drams by the experts from Elements Of Islay and have the chance to ask all of your burning questions throughout. 10pm – Although the tasting is over, please feel free to stick around. Anything you were afraid to ask? Grab our resident experts and have all of your queries answered. No refunds or transfers. Event is strictly over 18s only.